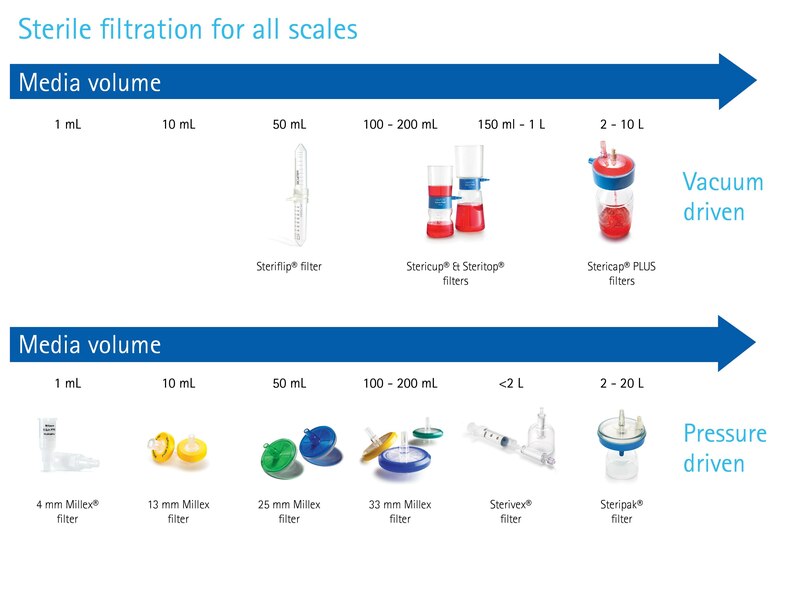 Prepare cell culture media with MilliporeSigma’s sterile filters.With industry leading innovative designs for filtration devices and over 50 years of membrane technology expertise, MilliporeSigma offers a wide range of solutions to make the repetitive and critical tasks accurate, quick and easy. With MilliporeSigma’s Stem Cell Tested products, you won’t have to! MilliporeSigma has initiated a rigorous testing program to ensure that our sterile filtration and cell culture devices can be used safely for stem cell culture. Our testing covers multiple criteria for pluripotency and non-interference for the assurance you need.